Expedia can help you save with Zhangjiajie National Forest Park travel packages. With all that extra cash in the bank, you might even like to lock in a few more nights. Crafty travelers can gain savings of up to C$590* by booking a package deal on Expedia. Our enormous global database lists more than 321,000 properties worldwide and 400 partner airlines. With such a broad range of options, organizing your dream vacation will be a piece of cake! Be confident in knowing that you may change almost any hotel reservation and you won't pay any extra fees to us. It's enjoyable to just roam the streets when you're somewhere new, but sometimes it's a good idea to come up with a plan. Grab your travel schedule — we have heaps of wonderful ideas for your forthcoming Zhangjiajie National Forest Park vacation. Longing to see the world from up high but too nervous to try hang gliding or parachuting? Then why not walk up Tanimeni Mountain instead? You'll be able to admire lovely views while staying safely on terra firma! There's a fabulous range of things to keep you busy in and around this destination. Remember to bring a good camera if you're going on a trip to Tianmen Mountain Cable Car. The incredible views you'll get while coasting steadily over the land deserve to be recorded! Still got time on your hands? Would you love to view the world from way up high but don't want to try skydiving or parachuting? Then why not take a trip up Great Gate at Tianmen Mountain instead? You'll be able to take in lovely views while staying safely on terra firma! Traveling is about doing things you take pleasure in as well as things you've never undertaken before. Ready to dive into some cool new experiences? If you want to check out all the activities on offer, go to our Zhangjiajie National Forest Park things to do page. 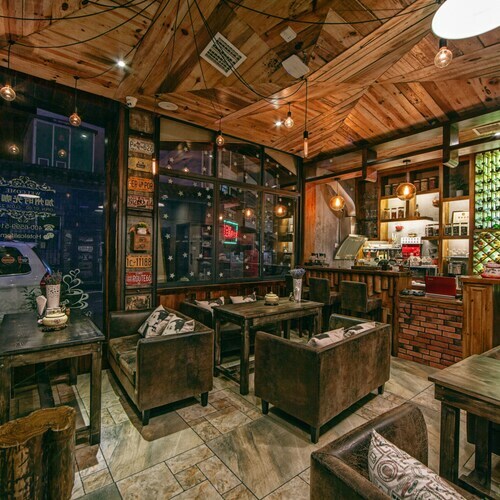 Finding cozy places to stay is key when it comes to planning cheap vacations or luxury getaways. 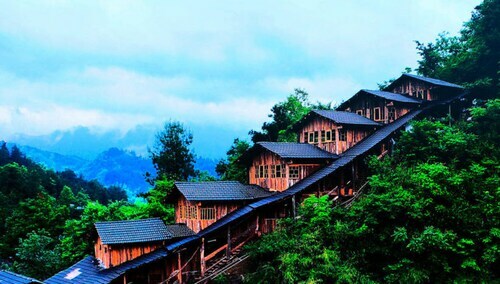 Fortunately, Zhangjiajie National Forest Park offers around 29 accommodations, so you'll have plenty of options. 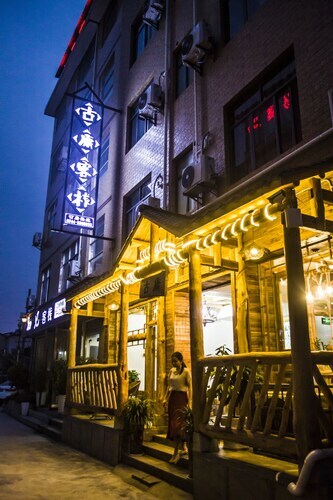 If you enjoy the high life now and again, why not spend a bit extra and spoil yourself to a night at the Da Cheng Shanshui Hotel (Dayong West Road) or the Zhangjiajie Baway Fashion Hotel (Dingtai Road, Yongding District)? After something a little lower priced? 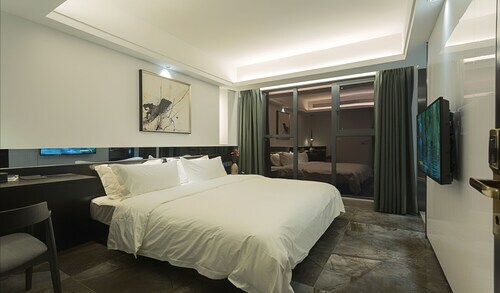 The Sunshine Hotel Resort Zhangjiajie (No. 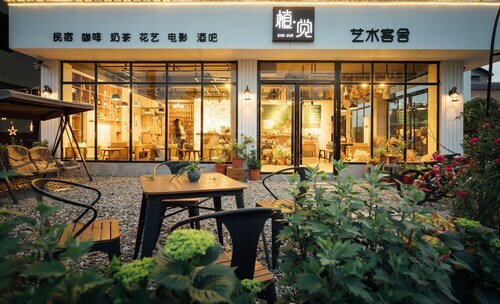 2 Yongding Avenue, Yongding District) and the Home Inn Dayongfucheng - Zhangjiajie (Dayongfucheng, Jiefang Road, Yongding) are a couple of options that won't cost a small fortune. Changde Airport (CGD) is the entry point for most visitors going on a trip to Zhangjiajie National Forest Park. It's based 70 miles (113 km) from the center of town. Good hostel in a good area with great staff with great tips. 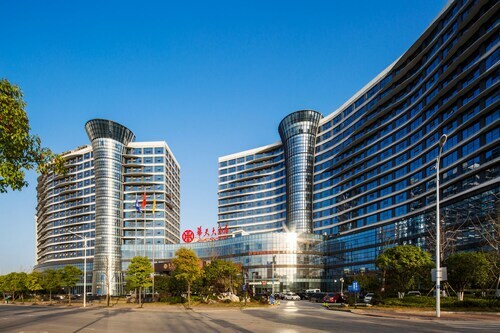 Located in Yongding, this hotel is 2.7 mi (4.4 km) from Tianmen Mountain Cable Car and within 6 mi (10 km) of Bailong Elevator and Great Gate at Tianmen Mountain. Zhangjiajie National Forest Park and Tanimeni Mountain are also within 12 mi (20 km). 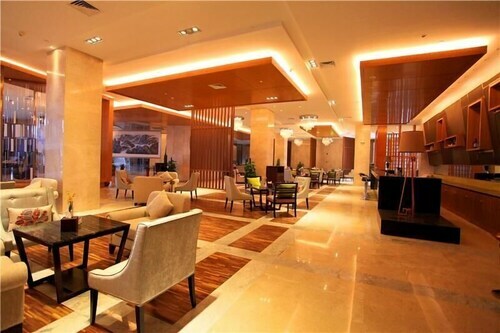 This is very nice hotel. I didn't expect that good only complaint that too many smoking people inside the hotel, even on elevators. Very close to Tianmen mountain cable car station, and very good restaurants nearby. The place can be tricky to find. The heater in the room really takes some time to work; I was freezing for quite a while. The staff is really helpful. It was a decent stay and value for money. 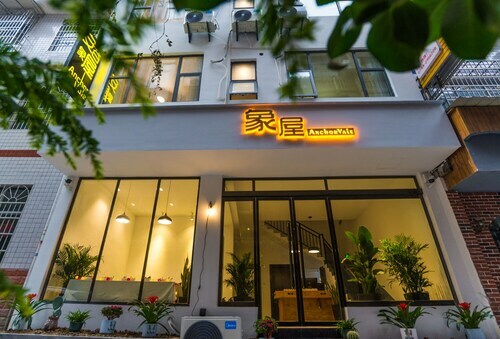 Located in Yongding, this inn is 1.1 mi (1.7 km) from Tianmen Mountain Cable Car and 2 mi (3.2 km) from Zhangjiajie National Forest Park. Bailong Elevator and Great Gate at Tianmen Mountain are also within 3 mi (5 km).